Simple Things | Oh Look! It's A Blog! The Liaison Collaborative opened all 3 of the events they host just recently: Poser Pavilion, The Garden & The Boutique. The events have all moved to the Fall sim with a fresh new look and an outdoorsy theme to all 3 event platforms. My dress is from Junbug and her gowns have quickly became of my top favorites. I like the draped fabric feel of them and this one is perfect with the bow on the back ❤ My hair is a bit of a sneak peek from Tableau Vivant and it will be available for My Attic on March 21st. I also made the poses I am using for this post and they are available at the Poser Pavilion. 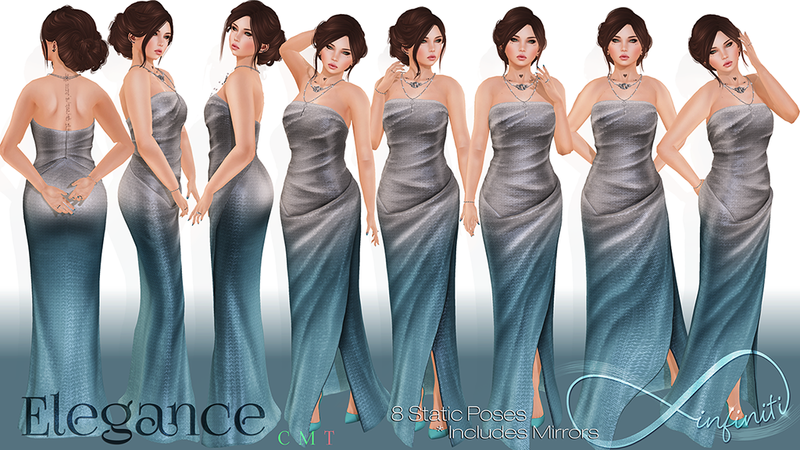 This entry was posted in iheartslFeed, Uncategorized and tagged .Infiniti., blog, Decor, Garden, Glam Affair, Half-Deer, Home, Izzies, Junbug, Mesh, Minimal, Minimal Nouveau, Minimalistic, Miss M, My Attic, Pose Pavilion, Poser Pavilion, Romy, Second Life, Skin Fair, Skin Fair 2014, SL, Tableau Vivant, The Boutique, The Garden, The Liaison Collaborative, The Liasion Collaborative, TLC, what next. Bookmark the permalink.